The Commons Transport Select Committee has issued its report on last year's snow chaos that shut Heathrow airport and disabled significant parts of the rail network. Many roads including motorways were badly affected and it is reported that £280 million was lost to the UK economy each day. The scale of the disruption was also seen in the countries GDP figures where a reduction of 0.5% was seen that tipped the economic figures back into recession territory for the quarter. The disruption caused hit organisations and communities across the UK with many finding their Business Continuity plans, if they had them, struggling to cope as key services faltered. 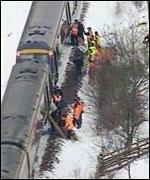 The investigation led by Transport Committee Chair, Louise Ellman, brought many of the players in the snow saga together to submit evidence. These included airport operators and airlines, rail companies, local and regional government departments, professional bodies and other passenger and road groups. It comes as no surprise that the Transport Select Committee finds that greater and more targeted investment is needed to avoid a repeat of the travel chaos seen over December 2010 and even goes as far as suggests government oversight in certain areas. Secretary of State for Transport to lead work geared to improve the resilience of electrified "Third Rail' Network south of the Thames. For the Government to have oversight of Airport planning for Snow and other Major incidents, with a particular focus on Heathrow. Improve practical advice on how communities and individuals can cope with problems caused through severe weather. Launch a campaign targeted at motorists on the need for winter preparation. Investigating improving the Met Offices long range forecasting abilities through increased investment. The report, that covers some 209 pages, goes into considerable depth and the various witnesses and submissions does try to outline just how complex dealing with “extreme" weather conditions can be. It cites many lessons that had been learned from previous years and the work that had been ongoing to improve matters ahead the disruption caused in December 2010. Giving evidence the major players repeatedly illustrated the systems they used, the development and progress that has been made, as well as, to a greater or lesser extent, the problems around collaboration and communication. Another perspective can also be drawn though and this is quite different. This would show that consistent failures to prepare and communicate properly, little proactive or effective management of the situations that had been generated by the bad weather and culture view that did not place continuity of operations, crisis management or business continuity very far up the priorities of the organisations involved. We particularly appreciated the comments from one county council that showed, that despite considerable preparation, the actual manpower available to clear snow had reduced from 800 in the 80's to around 250, a fall of nearly 69%. This is something that can reasonably assumed to be reflective of the national picture and points to the core issue in management of an effective response. Time and again, interagency communication problems were illustrated in the various submissions to the committee that materially impacted on the ability to properly co-ordinate activities and that in many cases added to the difficulties faced. Over the past few years Resilience Forums have been created to help in this regard, but it appears form the evidence submitted that there may been little progress on the communications aspects previously identified in other reports on major events ranging from 7/7 through the Pitt Review on Flooding to the current weather and transport related disruptions. From a business continuity perspective it is interesting that very little attention is given in the report to the planning that is needed more generally across the the public and private sectors that would have helped manage the disruption more effectively. Business Continuity was actually only mentioned once in the entire report and this was in reference to the Quarmby Report recommendations on the Resilience of Englands Transport System. 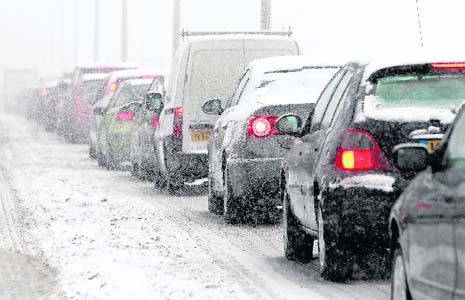 We have now had two major reports on the transport disruption caused by the Snow, but it appears as though the opportunity to fundamentally address the issues that are the root cause of the problems are slipping through government fingers. Twice in a little over a year the country has been hit by Transport chaos. If add in the Volcanic Ash event that grounded European Air Travel and the Eurostar Fire that closed the rail services to France that gives us four major transport events in 13 months. Each of these events has been studied and (the reports are attached below) and in each there is a general consensus that not enough was being done and that both greater recognition of the problem and priorities was needed. Each enquiry makes recommendations and the reports are published, but is this really enough to change what appears to be a cultural problem? In ALL of the reports the crisis communications of the organisations involved were found wanting and each time the organisations involved stated they were working on improving these. However, the Rail industry was involved in THREE of the events covered and each time the same criticism has been levelled in the ensuing report. We have to ask therefore just how much has been learned and why, if genuine improvements are being made, are the same criticisms being made. We have a opinion on this that is based on our broader work and experience across the sector and this is that when facing Select Committees and Public Inquiries a different spin is being put on the planning and preparation across this area that does not carry the same weight when the work is being actually done within the organisation. Business Continuity is not rocket science, but it does require diligence and commitment. In certain areas, such as key national infrastructure services, it requires difficult choices to be made about spending and investment, but often unless there is a clear and significant consequence of failure it appears as though there is not enough actual investment, or indeed financial accountability, when millions are affected by what is really a manageable problem. Increasing investment in BCM and Emergency Planning would have a considerable effect in reducing the impact of these events and enable better management and engagement with customers and other stakeholders. Whilst the cause may be different (Snow, Fire, Flood and even Volcanos!) if the planes and trains aren;t aren't operating the core problem is the same … transport chaos! We know weather (and other disruptions) is going to happen, we are told we need to prepare better for disruption and we definitely have the skills and tools to make huge inroads to reduce the impact on our country and communities. The situation is though that rather than creating a real cultural expectation of capability it seems we are all to willing to accept consistent failure, the subsequent excuses and even, sometimes, an apology. We would venture to suggest we deserve better! If you would like to comment on this article please mail us here!